Erica Synths Black Mixer/Splitter V2 is an advanced replacement for stackable patchcables. Eurorack модули Erica Synths Black Mixer/Splitter V2 Вы можете купить по выгодной цене в наших музыкальных магазинах в Москве и Санкт-Петербурге, интернет-магазин, доставка по России. 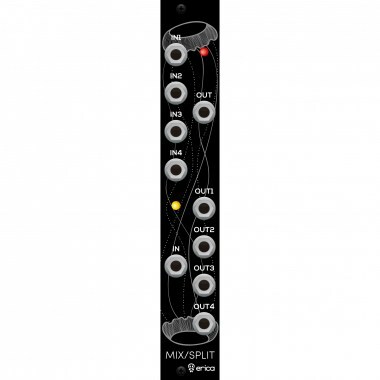 Erica Synths Black Mixer/Splitter V2 is an advanced replacement for stackable patchcables. Everyone who knows a bit more about electronics will point out that stackable patchcables are not a really wise choice for such sensitive things as musical instruments because they mechanically connect electrical signals that at best can cause undesired modulations or even damage the modules. 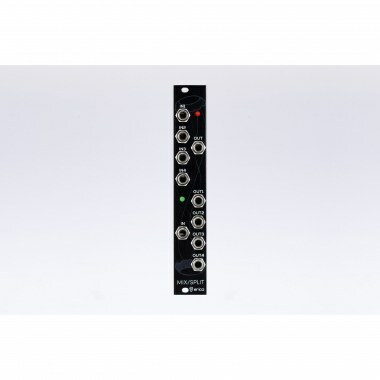 Therefore we give you a four independently buffered input mixer and a buffered output signal splitter in one module!